If you’re looking to order a gift for arrival by Dec. 25th, please use the information below as an estimate for when you will need to place your order with us. The following dates are only estimates and, for the most part, are not guaranteed. The only guaranteed mail services are UPS Air Service, which includes 3-Day, 2-Day and Next Day ($$$$! ), and USPS Express Mail. 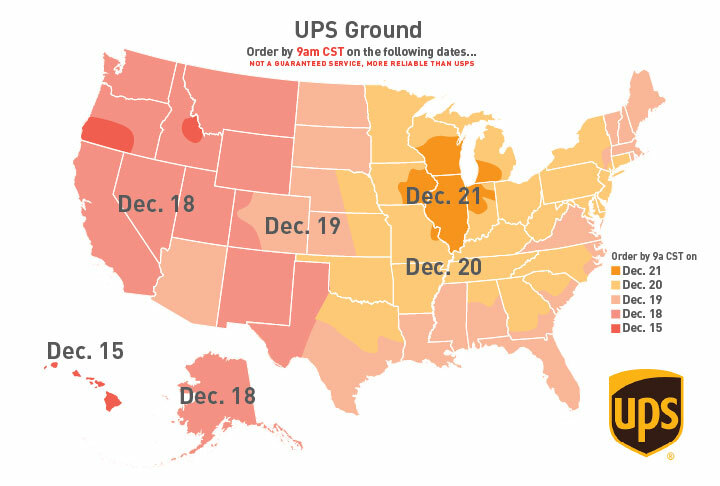 A guaranteed service does not mean your package is guaranteed to arrive on time. It means if your package does not arrive on time, you will receive a refund for your shipping costs. We’re sorry but there is no compensation offered for the emotional distress of being empty-handed on Christmas morning. It’s best to order as early as possible! 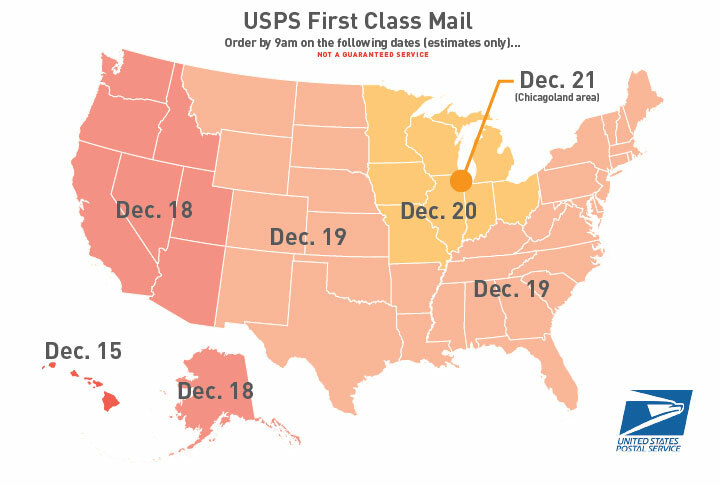 If you’re shipping holiday gifts, for Hanukah, Kwanzaa, Christmas, Festivus, or other holiday traditions, please ask us for the estimated arrival date. 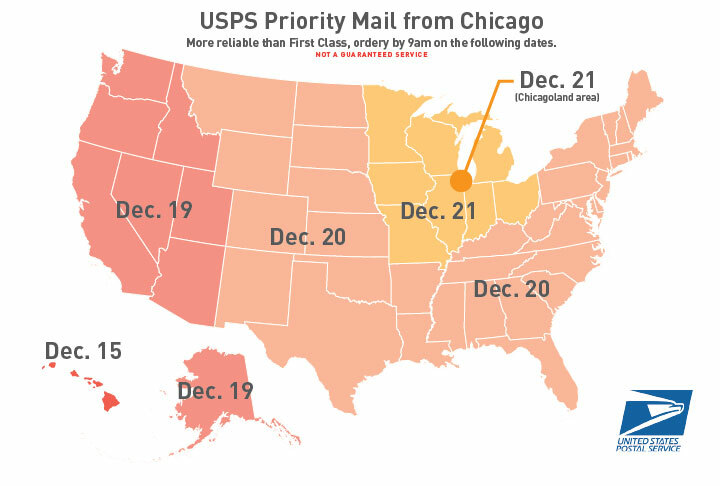 For USPS Express shipments mailed December 22 through December 25th, the money-back guarantee applies only if the shipment was not delivered or delivery was not attempted within 2 business days. 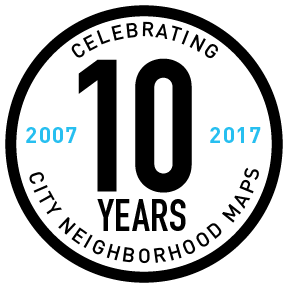 If you do not live in an urban area, check service commitments to your zip code before ordering! Order deadline Dec. 19 by 3pm CST. If you’d like to purchase any of our products not listed above or any framed posters or prints for pickup at Neighborly, please contact us ahead of time and we’d be happy to arrange that.